If you choose a career in IT you are also committing to a career-lifetime of learning. As technologies advance so too must your skills and abilities, to ensure you keep pace with the ever changing industry. This Windows Server 2012 Skills Update course is designed for anyone who is already familiar with Windows Server 2008 and is now looking to learn how to implement, manage and maintain a Windows Server 2012 environment. The course can be studied flexibly, either full or part-time, whichever suits you, and is carried out online. Throughout the training youll have access to interactive labs and demos and youll be able to undertake practice test questions, all designed to help you build your knowledge of this infrastructure. Once youve successfully completed your course youll receive a Pitman Training certificate and be well placed to go on and sit Microsoft exam 70-417*. Entry Requirements Evidence of existing Windows Server knowledge will be required before starting this course. 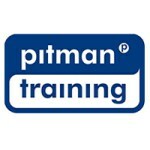 For information about Pitman Training Centre (Swords), please visit our Training Provider page on Corporatetraining.ie by clicking here.